One of the biggest expenses that people always forget to factor each month is their taxes. Taxes get filed yearly, and when you do it on time you are in favour with the IRS. The good thing about paying taxes is that you could be on the receiving end of a tax refund. Claiming all the deductions that you are legally entitled to claim allows you to get some of your taxes back, and there are a dozen ways that you can use that tax refund to your advantage. Not everyone gets a refund on their taxes; it would be naïve to assume you’d get a refund at all. If you’ve spent time in previous years dealing with companies like Alexander Law Firm LLC because of missed payments, penalties and fines, then a tax refund will be a welcome treat for you. The key is not to blow your little windfall on a vacation or nothingness; you need to put it to good use so that your finances stay as healthy as possible for the year ahead. So, with all that in mind, how could you use your tax refund for good? 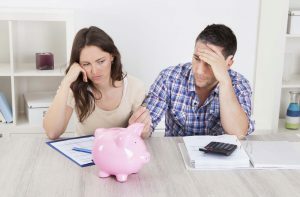 Having debt hanging over your head isn’t easy, as you may know from past experience. You could have been great with your taxes and getting them filed on time, but that doesn’t mean that you won’t have debt elsewhere. Funnel your tax refund into paying down debt and you can lighten the load, potentially clearing your debt history and going back to black. Are you planning to head to night school with the hope of a degree in the future? How about paying for children to get an education? Put your tax refund to good use and pay for college – or at least part of it – and make it work for your education. Sometimes, trying to save a rainy-day fund just doesn’t happen. It’s not easy to find a portion of your salary that you can funnel into a savings account when you have bills to pay and things to do. You could therefore choose to put your tax refund into an emergency savings account to be used when things get tough or the car breaks down unexpectedly. When you have a dream idea that you know will work, it can be hard to find the financing that you need. Using your tax refund as a way to invest in yourself isn’t just smart: it’s good sense. You could then have multiple income streams, which means your investment would have paid off massively. One day, you are going to retire, and you need to be able to fund those years. If you’re saving for a pension, that’s great, but one day you may want more than the minimum. Push your tax refunds into your pension pot and make later life something to enjoy. Not everyone gets a tax refund, but making it count is important when you do! There’s no better feeling than being told you are entitled to a tax refund! I second that Liam! Only ever had two but when it does happen it’s always a cause for a celebration! Received a juicy tax refund last year for the first time in my working life! Was tempted to splurge as soon as I got it, but I was well behaved. Managed to get a credit card paid off in full which was a huge relief. I’ve also only ever had just the one tax refund so far, but I hear you all – it’s a good feeling! Mandaya, I think it’s human nature to want to go out and blow it all but I too, just like yourself, put it towards an outstanding bill. Perhaps not the most exciting of things to do with such money, but it certainly makes you feel financially lighter!